Secure archiving and simple document distribution need conversion. Here is the standard process for file conversion with interfaces for SAP. The conversion servers have a lot to offer: Over 50 different input and output formats are supported: Graphics, text and CAD files, in application and neutral formats. Conversion services from SEAL Systems can be expanded with additional functions. Stamp and watermark for additional status information and validity notes, a signature page displays the release protocol. Standard testing checks compatibility with agreed archiving standards. The IT administration also doesn’t come up short: The conversion servers have user interfaces for management and order tracking. The SAP document management system has a conversion interface which allows it to integrate the necessary third-party servers. SEAL Systems’ leading-edge methods support the conversion of design data (CAD, PLM) as well as text-based files: Excel, Word, PowerPoint, Visio, Exchange and others. Typical target formats are PDF, PDF/A, TIFF, JPEG , BMP and 3D-Visualisierungen. We support all key storage methods for document files: Content server, ArchiveLink, filesystem, URL. Popular with all users: The Conversion Cockpit from SEAL Systems is an SAP integrated user interface, for verifying and editing conversion processes. SAP-certified implementation of SAP-standard interfaces (External Document Converter) allows for the server based conversion of file and application formats in print data or long-term formats. Synchronous and asynchronous methods (composite spool request) are supported. Click here to get fast price information in the form of an offer. There are applications for which the standard functionality of BC-XDC is not sufficient. SEAL System’ RM Convert helps here. With RM Convert, the function call for converting documents in SAP Folders Management is implemented as service and menu item. Supplemented by SAP standard interface BC-XDC, RM Convert can speak to an interface with an extended scope of function. Standard conversion functions are depicted, but also specific processing methods for documents and conversion processes. An assured quality of document data for long-term archiving creates security and allows for a smooth handling of these files in printing and display. The PDF Longlife Suite tests and corrects PDF files to comply with PDF/A standards. It consists of components for verification, correction, integration in SAP DVS and a module for inventory data check. 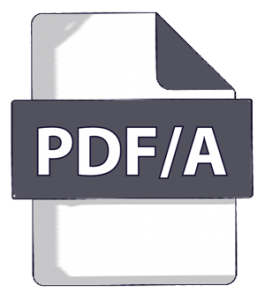 With PDF Adapt from SEAL Systems, PDF files can be tested for conformity with a definable set of rules. The signature page is a file with one or more sheets which has been generated from SAP. The signature page normally consists of a header area with a number of lines including the document’s basic data and features. The second area is variable and contains a list of signatures and/or process data. A document’s release process, for example, can be made visible to all recipients as a cover sheet. With the DVS-XSA tool, some tasks and maintenance work involving SAP DVS can be solved elegantly with little cost: Reconverting, refiling, file exporting and other jobs can be carried out once or repeatedly, for example. Click here for a quote that fits your needs. Click here to learn more about our solutions for SAP. SEAL Systems has been our partner now for many years for our output requirements solutions. Right from the implementation of procedures for printing documents, we saw what potential could result from an output management solution, not just for printer management but also the processes. Based on this experience, we decided on system expansion and today, thanks to SEAL, we have a system by which all core print processes are controlled and optimised. This saves us enormous administrative expenses. 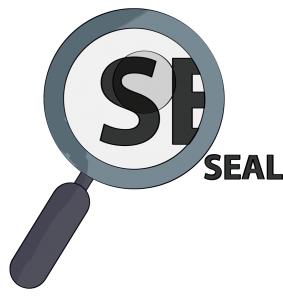 We can only recommend SEAL Systems.